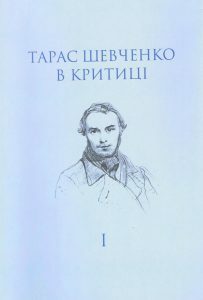 During a short but rich life, the creativity of Taras Shevchenko was subjected to both positive and negative criticism from 1839 to February 1961. Several publications reacted to the first edition of the “Kobzar”, “Severnaya Pchela”, “Khudozhestvenaya gazeta”, “Literaturnaya gazeta”, “Otchestvennie zapusky”, “Lastovka” and other. Later, they were joined by other publications. This volume surveys and presents these reviews.